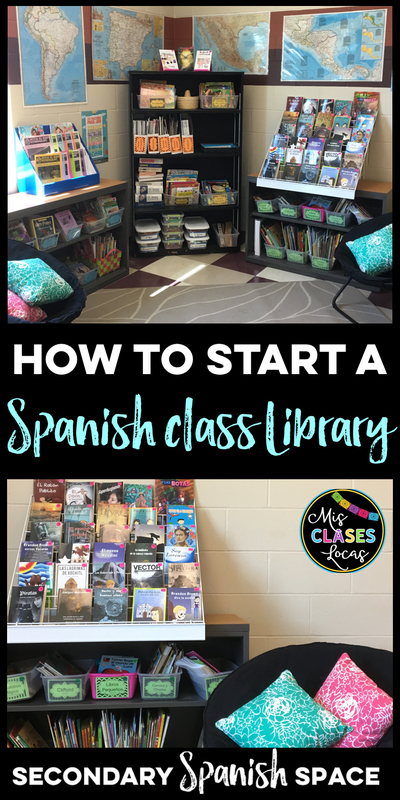 Whenever I share pictures of my Spanish classroom library, I get a ton of questions related to how to start a class library. 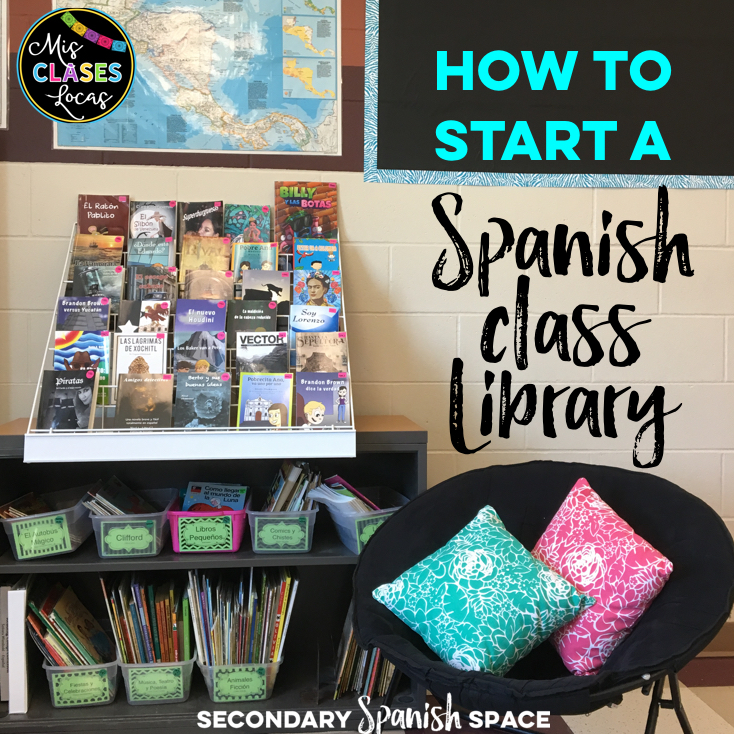 Here I will share tips to get funding, where to buy books, as well as what to do with your new class library. Where do I get money to start a class library? Check national, state, and local language organizations for World Language grants. Also talk to your administration, counselor, union, or education association for local education grants in your county or state. I personally got my state IWLA grant, as well as a local education grant twice. Here is a post I wrote about How to write a grant. I know it is hard to beg for money, but if you never ask, you will never get any money. Talk to your school library to see if they can use fund to purchase books in Spanish. Ask the PTO or school foundation if they have money for books. If literacy a goal at your school? See if you can use literacy money to buy books. Ask you curriculum director if you can use your textbook or curriculum money to but leveled readers instead. Propose your idea to your administration and see if they can find money somewhere to support you. Does your school have a book fair? See if you can use the points earned to get book in Spanish. Or take advantage of the Spring buy one get one free fair to get the most bang for your buck. CIReading - has links to buy from independent authors on Amazon & Create Space! Also, check out used book stores, teacher swap sites, garage sales and library sales to get books cheap! I personally start class on Tuesday and Thursdays with free reading. This year I started in November with Spanish 1 with 5 minutes and you can see more details in this post the game changer introducing FVR. As students enter class on FVR days, the instructions for free reading are projected. I embed a timer in the slide, so student can see where we are at. We start with 5 minutes in Spanish 1 and build until about 15 minutes in upper levels. It works best when I READ TOO! It is not a time to get stuff done. As the example, we have to show students what it is like to read for enjoyment. I personally look forward to having a chance to read all of my new books in Spanish right along with the students. In my classes we read for fun. We do not complete a log (unless they want to just track what page they are on). They do not have to do a report. 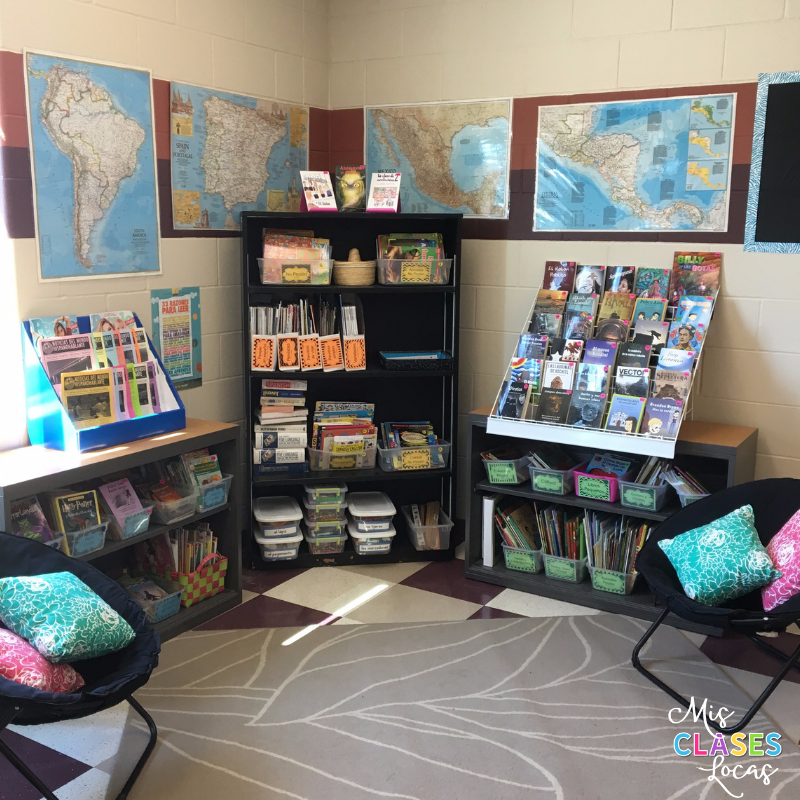 It is all about learning to enjoy reading in Spanish. Sometimes I have them share for a minute with a partner about what they read. Sometimes I have them show me from fist to five (with fingers) how well they enjoyed their book. The accountability is low, but the engagement is generally high. It does work well as a bulletin board to have students rate or review books to recommend for others. One option when students finish any task is always to read. It makes me so happy when students voluntarily pick out the book they are reading to continue or ask to check it out to read at home. The uses for books in a world language class are endless! Do you have a library? What have I missed? How do you use it? Please share! Great post, Allison! Don't forget about all the new authors that are only available on Amazon/CreateSpace! Where did you get the display on top of your bookshelf? I'm looking for a better way to store/display my books. I'd also love to know where your display shelf is from. Thanks so much! Love the fast finisher idea! If you're interested in a digital library option we make short, fun, interactive dual-language ebooks specifically for language learners 15+. The website is www.lingogoapp.com if you want to check it out and I'd be happy to send you a demo. We've just started selling school subscriptions and they're going fast!